The Power Ministry today cleared a proposal to use parali with coal as fuel in thermal power stations to generate electricity. With Delhi-NCR battling smog and heavy air pollution levels due to many reasons including burning of parali in neighbouring Punjab and Haryana, the Centre has decided to use the agri waste to general electricity. The Ministry has directed state-run NTPC Ltd to mix parali up to 10 per cent with coal to reduce stubble burning. The decision, it said, will surely help the government to tackle air pollution. NTPC will soon float a tender to buy farm stubble for power plants. “We are talking to generators of NTPC. We examined that 10 per cent of straw pellets, stubble or briquettes can be mixed with coal. NTPC is going to come out with a tender with the average price being Rs 5,500 per tonne. We are writing to states and to enforce this for all thermal plants. We are creating a market for straw and stubble,” Power Minister RK Singh said. To help the farmers deal with power plants easily, companies have been directed to set up collection centres at different locations. Delhi has been battling crippling smog and air pollution from last few weeks. 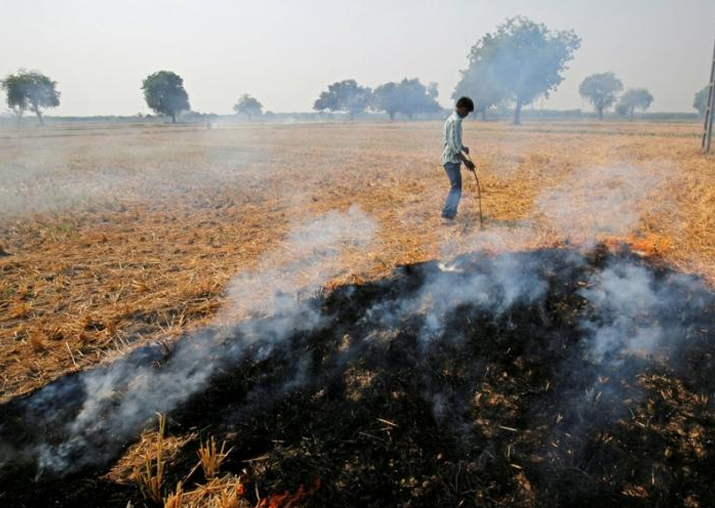 Stubble burning in Haryana and Punjab was among other major reasons for pollution in entire northern India including Delhi-NCR. Earlier this week, Delhi CM Arvind Kejriwal had met his Haryana counterpart Manohar Lal Khattar to discuss the ways to handle the situation.